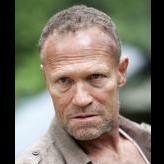 Merle Dixon had the most liked content! Applying to AD OTS and Reserves at the same time? For the love of Pete, find a Guard unit. Active duty = poop. DAL puts 16% of our gross pay into our 401k. So, DAL contributed $40k and I contributed $15k (I maxed out the 2018 401k limit of $55,000). In 2019, the max 401k contribution is $56,000. I have been at DAL over 11 years. I just recently retired from the AF Reserve. I typicaly work 14 to 15 days a month. Do yourself a favor, take the millions of dollars of training the AF has invested in you, vastly improve you QoL, and build a fantastic financial future for you and your family. ***Edit*** I mis-typed earlier. DAL contributed $40k to my 401k. I previously typed $38k, oops. Guys, just leave, get out, run, run fast. The AF is managed by imbiciles and fools. DAL put $40k into my 401k last year. Each and every one of you has millions of dollars worth of training. The $35k retention bonus is an insult. Imbiciles. Fools. Yup, TRS for you and the family is $215ish per month. I have DAL vision and dental and DAL life insurance and an AAFMAA term policy. I am sure UAL, AA and SWA have life insurance, vision and dental too. Hidden cameras is the house? Too creepy? Latest rumor(s): DAL and FedEx both hiring 600 this year. Good luck all. This is why the $35k per year pilot retention bonus is an assinine pathetic joke. I am a DAL wide body FO. Best job in the world. 1 leg a day (8.5 to 10 hour flights, 3 pilot crew with a 2.5 to 3 hour rest break - paid to nap), 24 to 36 hour layovers. Over the next decade, your seniority advancement will be MUCH better at DAL. I cant imagine flying 3 to 5 legs a day. And, non-rev beneifts are great. I had 11 days off in early December, on a whim I checked loads to Europe and the wife, kids, and I went to Belgium for a week, first class seats there and back. I have several AF Reserve Bros that left SWA for DAL in 2015. They couldn’t be happier.